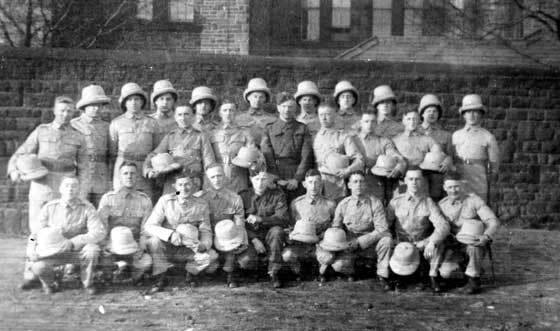 Private Stanley Bagshaw did his training at Bowerham Barracks and then served with the 1st Battalion of the King's Own Royal Regiment during the Second World War. 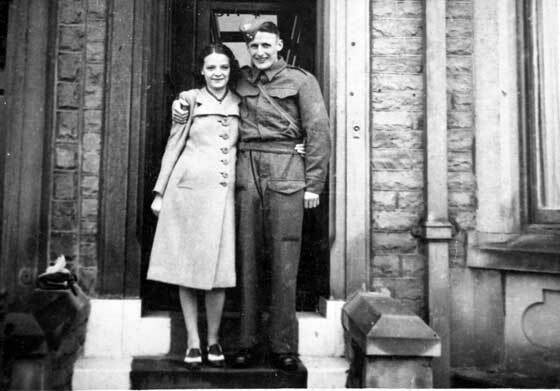 Photo of Private Stanley Bagshaw, number 3715510, King’s Own Royal Regiment with his wife on a weekend in Morecambe, Jul 1940. 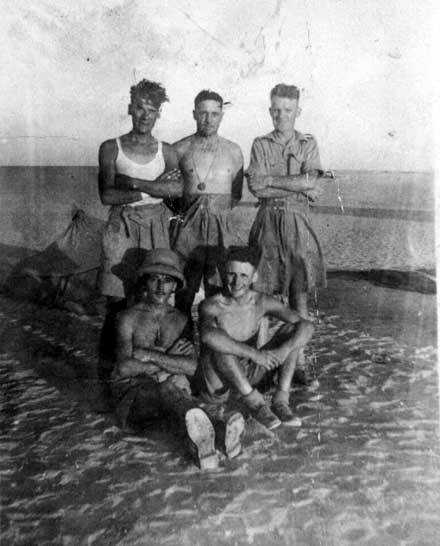 Four soldiers of the 1st Battalion, King’s Own Royal Regiment in Cairo, Egypt, 1942, including Private Stanley Bagshaw, number 3715510, of the King’s own. 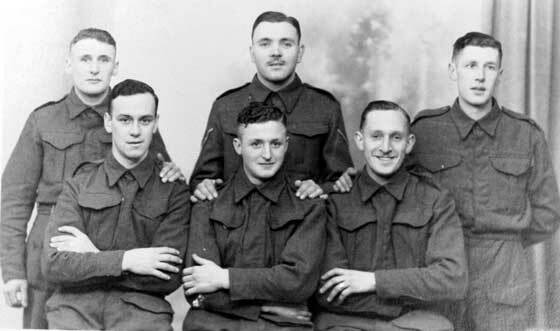 Six soldiers of the King’s Own Royal Regiment, studio photograph whilst at Bowerham Barracks, Lancaster, 1941. 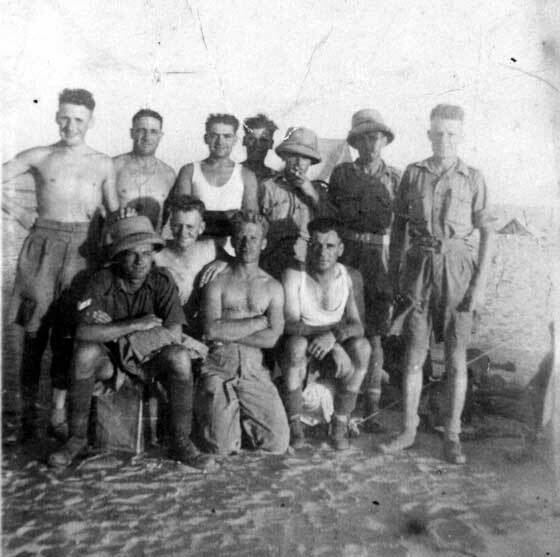 Private Stanley Bagshaw, number 3715510, King’s Own Royal Regiment rear left. 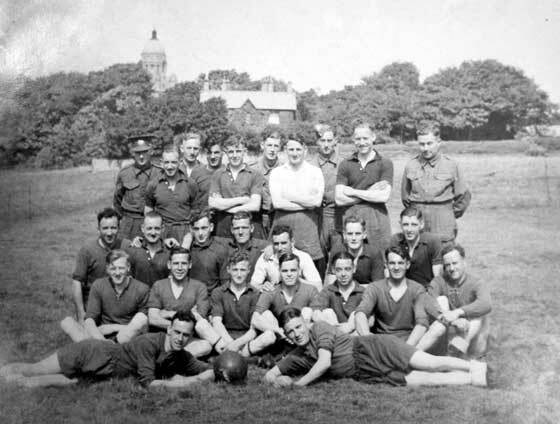 Photo by G Wynspear Herbert, Lancaster. 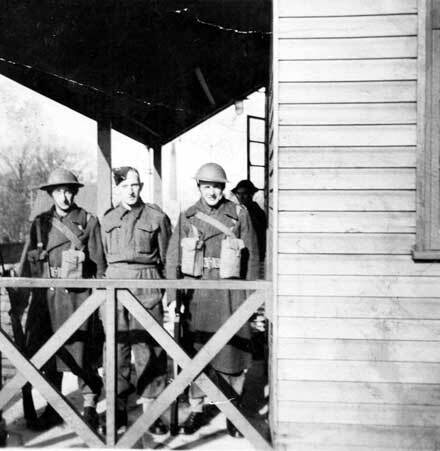 Group of soldiers of the King’s Own Royal Regiment at the Depot at Bowerham Barracks, Jan 1941. 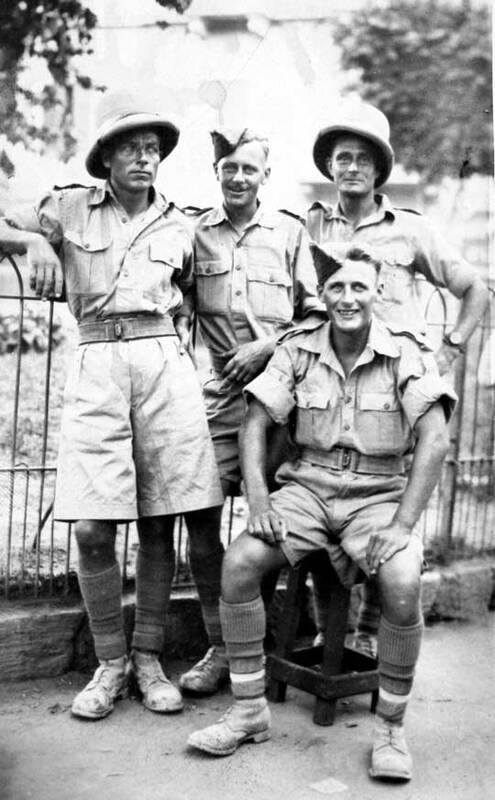 The group are on the whole wearing tropical dress, thus awaiting their posting to the Middle East for war service. 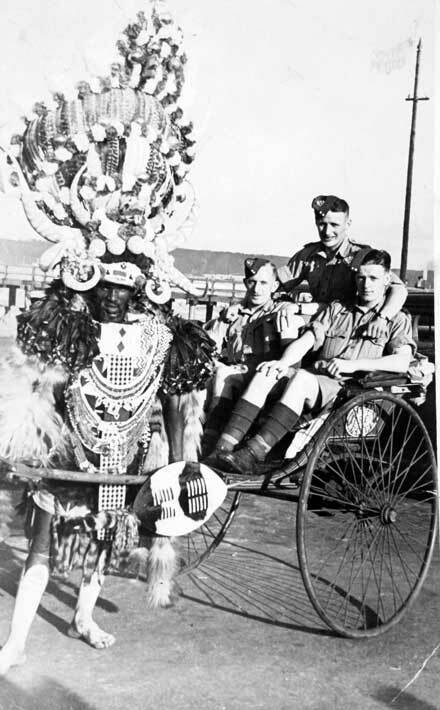 Three soldiers of the King’s Own Royal Regiment, sat on a wheeled man drawn cart, including Private Stanley Bagshaw, King’s Own Royal Regiment, Durban, South Africa 21 Apr 1941. 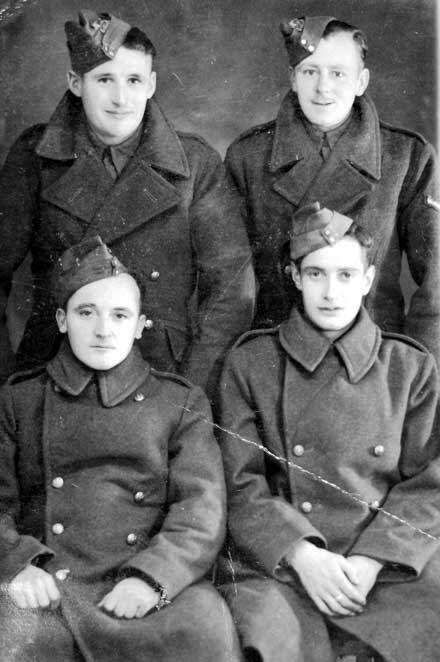 Private Cliff Blood is sat at the back of the three. 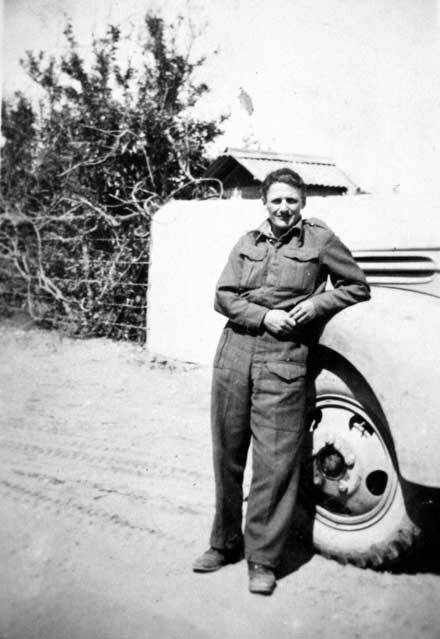 Private Stanley Bagshaw, 1st Battalion, King’s Own Royal Regiment, next to vehicle, Cyprus 1943-44, stated to have been prior to him joining the 1st Battalion in Italy.